People of all ages will find just what they need at the campsite, with the entertainment team arranging activities for all requirements and age groups (July and August only). Come and discover the region, have a go at some new sports, make new friends, discover your hidden talents and more! There are just so many reasons to take part in the entertainment! Your children are just bound to find a club that suits them! Meanwhile parents will be able to enjoy some time that is for them alone, and take some time to really enjoy their holiday. And when evening comes, everyone will be able to get together and talk about what they've done. You'll just love your family camping holiday! With the campsite's many activities and events, your children won’t have time to get bored! 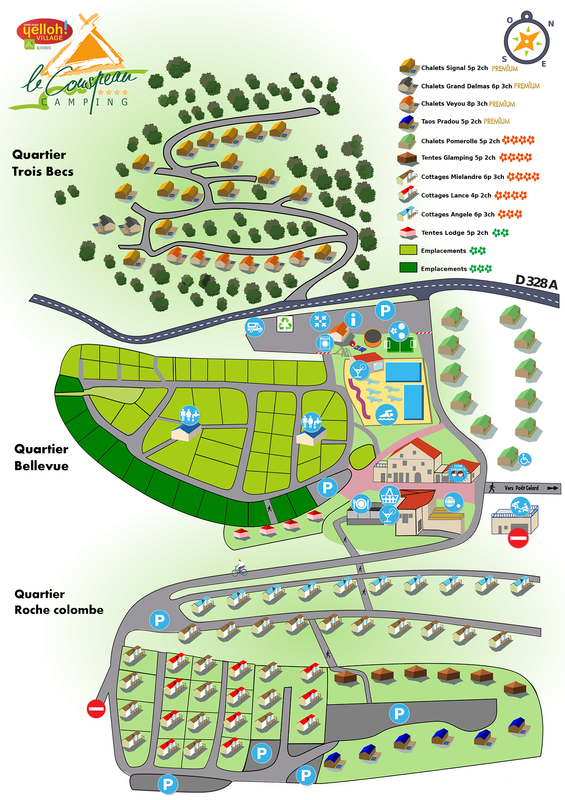 Active, intense, original, surprising… Your holiday at Camping Le Couspeau will be all of these for your kids. Children will be well catered for at the Yelloh! Village Le Couspeau! They'll find entertainment clubs which are specially for them, as well as an outdoor games area. The whole family really will be able to thoroughly enjoy their holiday in Drôme! So your kids will be able to enjoy their stay at their own pace, whilst discovering new activities and making new friends. There's really nothing like a family camping holiday to create a whole load of great memories!